Able to support up to 500 lbs of pull force. Made of stainless steel for a lasting strength and quality. Concealed mount allows you to cover any unsightly screw holes and continue a clean, sleek trend to your bath and shower. 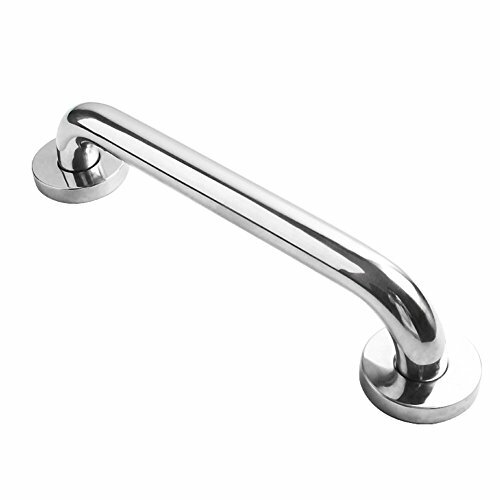 SAFETY- Use safety grab bars in the bathroom,kitchen, along stairways, or in the laundry room for additional fall prevention, especially for the elderly, pregnant women, children. The total length is 12 inch.The diameter is 1 inch. If you have any questions about this product by Yafeco, contact us by completing and submitting the form below. If you are looking for a specif part number, please include it with your message.